Vector modern megapolis at dawn. Bright glowing of rising sun on buildings. 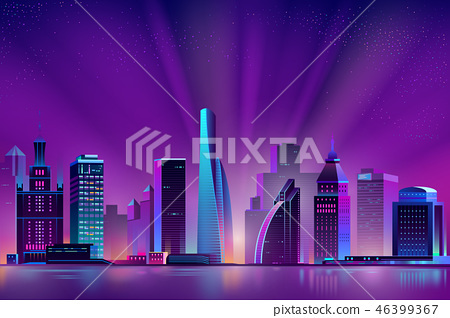 Urban skyscrapers in neon colors, town exterior, architecture background. Residential construction for cityscape concept.